A place known as the End of the World harbors something intense and exciting. More than just being the southernmost stretch of land on the planet, the mountains, bays and coves are reason enough for a visit. 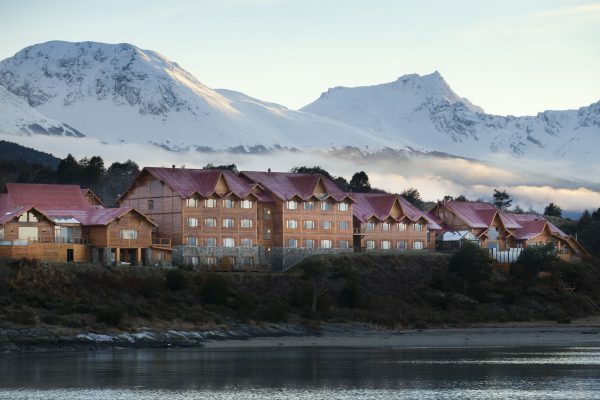 This could be a desert and inhospitable environment, but that’s not the case: life flourishes around Ushuaia, in the woods that surround it, in the lakes shimmering in surreal tones and by the sea. Additionally, we are in Tierra del Fuego, in the region of Argentine Patagonia, which holds many traditions and a past full of history. 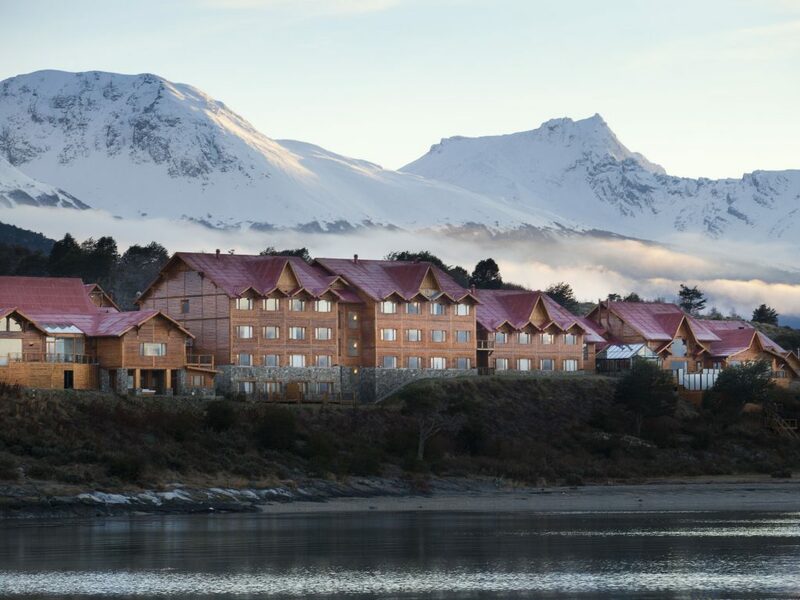 A connection between the Pacific and Atlantic oceans and the starting point to explore Antarctica, Ushuaia emanates a plural and quite cosmopolitan soul, while preserving the unique Patagonian spirit. 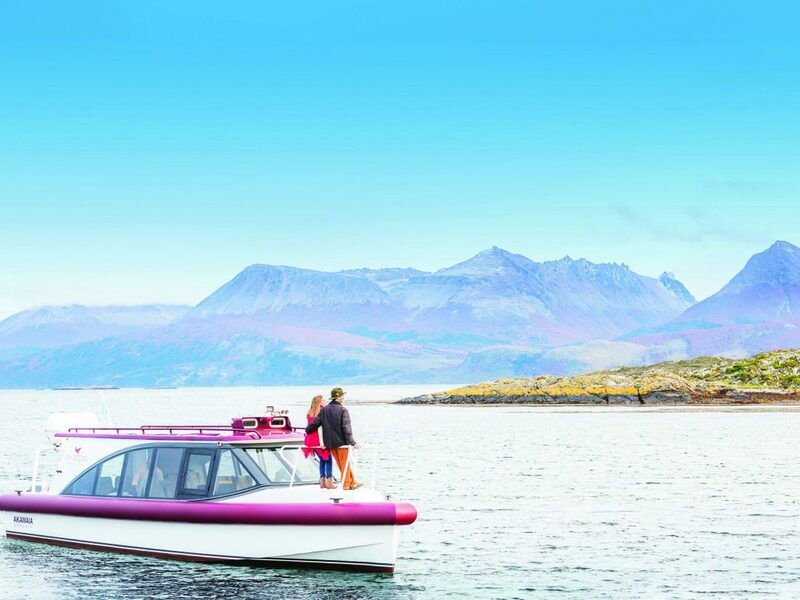 A destination with outdoor activities for every season of the year, from sailing experiences through the Beagle Channel to top ski resorts. The end of the world may just be the beginning of a very lively experience. 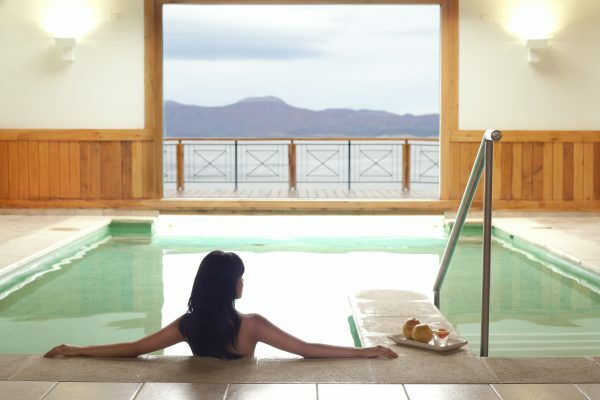 SUL Hotels Tip: The search for the perfect angle is an ever-present concern in Ushuaia. It will be difficult to choose your favorite snap, but with your camera always on hand, on boats or in the mountains, your eyes will surely capture something different. After all, the weather changes with the real winds of the south. By the way, put on a good windbreaker jacket – this is a mandatory piece of clothing in any season. As the strong suit of the hotel is its privileged location, it would not be worthwhile having accommodations that were not in unison with the beautiful surroundings. Incidentally, the name “Los Cauquenes” pays homage to a local bird frequently seen in Patagonia. 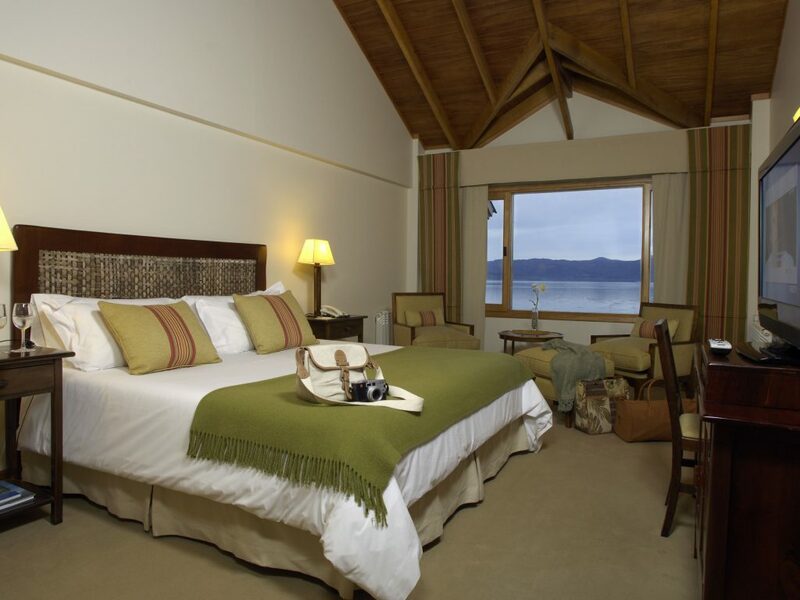 Most of the 54 rooms and suites have views of the Beagle Channel, on which banks the resort projects itself. 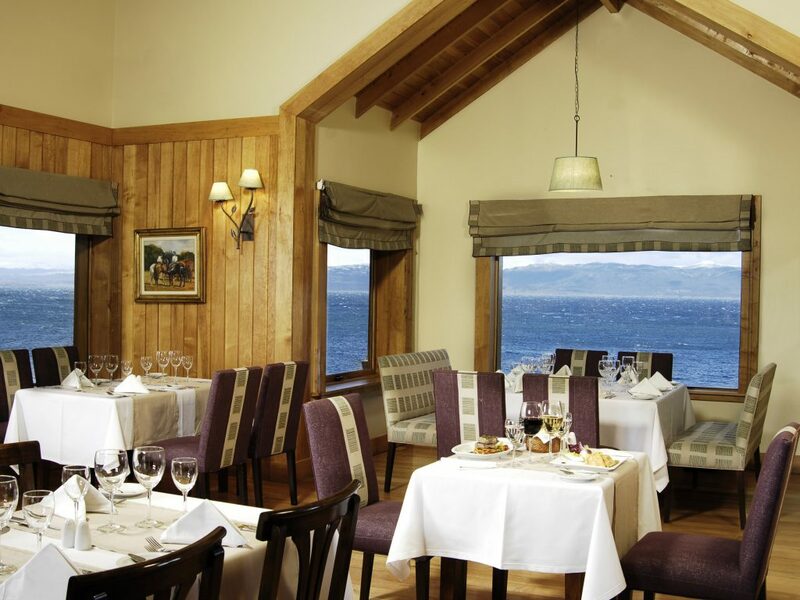 However, the accommodations that do not to overlook the sea on the small beach offer a view of the beautiful mountains that surround the back of the hotel. Every room includes breakfast, Wi-Fi, a TV, a hairdryer and a minibar. The essence of this experience is protecting the privacy of each guest and encouraging their interaction with the exceptional nature around them. The 19 26-square-meter apartments in this category offer views of the mountain as well as a queen-size bed (with an option for two single beds), a reading chair and a desk, an electric kettle and heating. 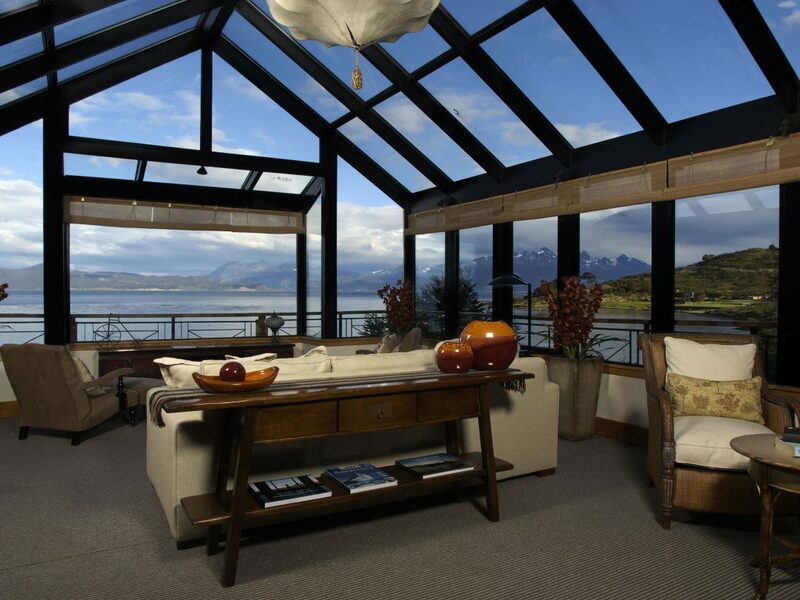 The 18 26-square-meter apartments in this category offer views of the Beagle Channel as well as a queen-size bed (with an option for two single beds), a reading chair and a desk, an electric kettle and heating. There is an option for guests who have mobility difficulties. 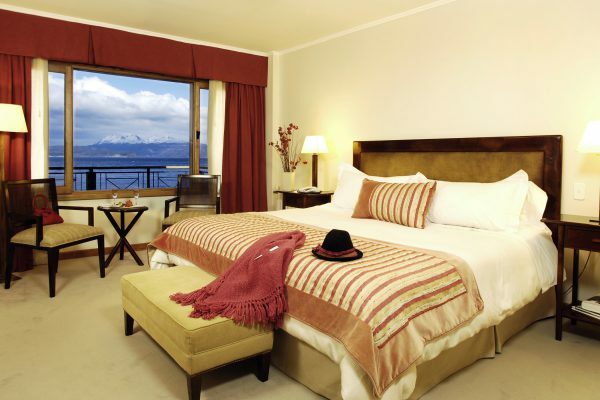 There are 12 30-square-meter apartments facing the Beagle Channel, with heating and a queen-size bed; there is also the option for connecting rooms. They also offer L’Occitane amenities, and Nespresso® coffee makers. 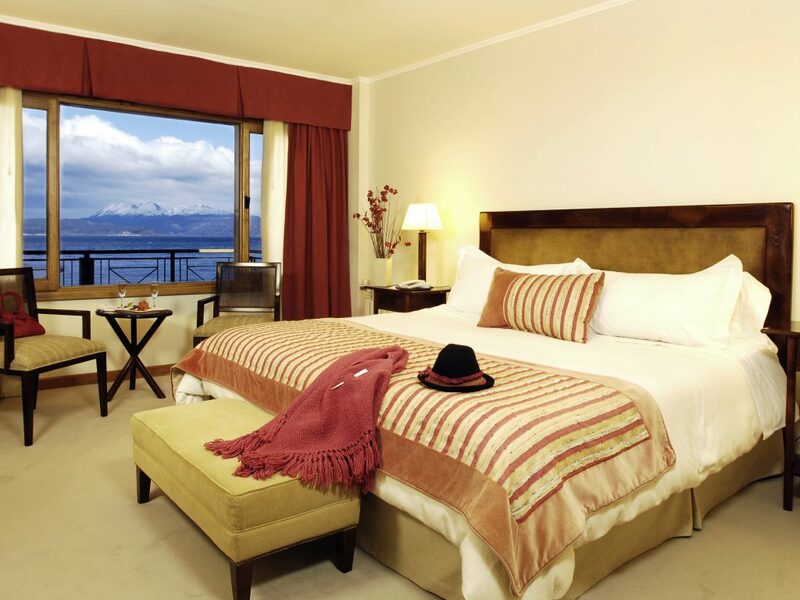 Featuring two bedrooms as well as views of the mountain and the Beagle Channel, the three junior suites offer a private balcony and a 41-square-meter structure that blends classic and modern styles. They include L’Occitane amenities, private anterooms and Nespresso® coffee makers. 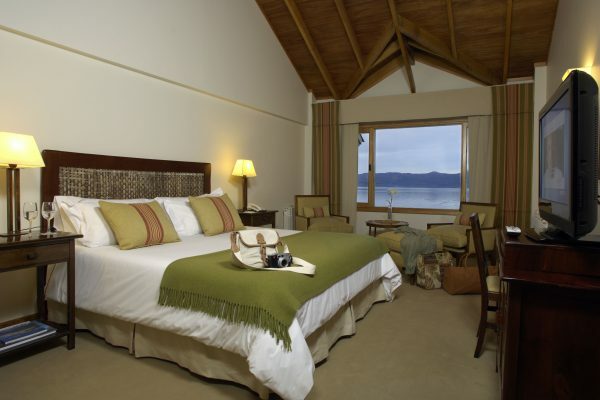 The two Los Cauquenes upper suites have a large independent living room. 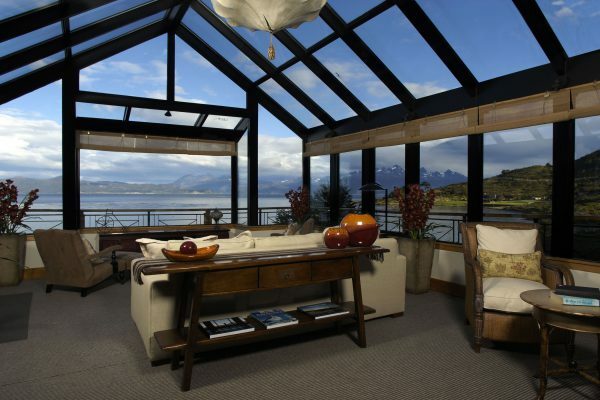 The view over the Beagle Channel is the most beautiful in the whole resort, with an exclusive deck on the beach. To enhance comfort, they also include a private jacuzzi, a stereo and a bathroom scale as well as L’Occitane amenities and Nespresso® coffee makers. 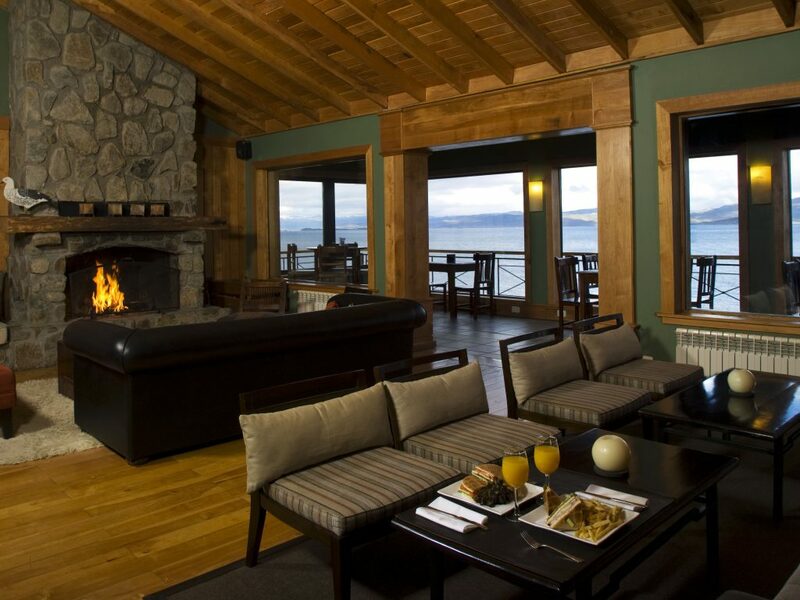 Much more than a simple hotel in the Argentine Patagonia, Los Cauquenes Resort + Spa + Experiences strengthen its resolve to offer a full experience to its guests. Under a multifaceted concept, it strives to offer a distinctive interaction with the environment, while preserving rigorous sustainability criteria, considering rest and contemplation as key factors of the stay. 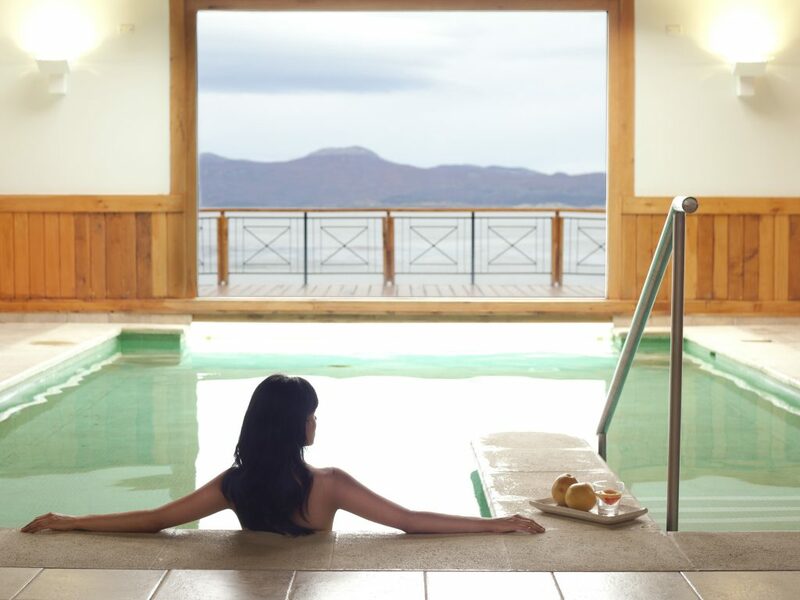 The views of the Beagle Channel and the mountains (with snowfall for much of the year) are the pillars of relaxation proposed by the 24 treatments available at the Spa at the End of the World, which offers high-standard massages and natural products. Revealing its romantic facet, the resort also offers tours such as getaways with romantic dinners, picnics and gourmet tours for couples. 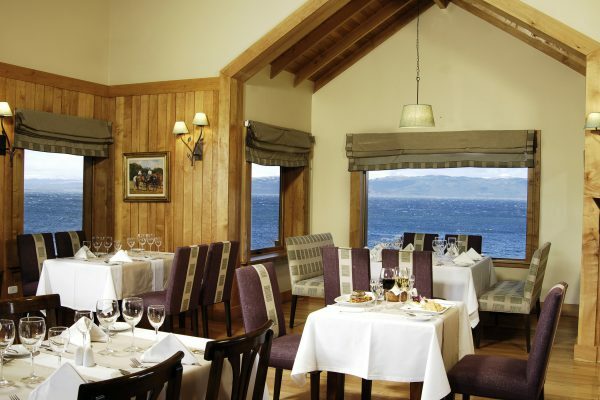 The palate is a serious matter at Los Cauquenes; this is made clear by the sophisticated menu at the Reinamora Restaurant kitchen, which combines the classic Patagonian cuisine, with ingredients such as lamb and king crab, with a contemporary execution, harmonizing the experience with prime regional wines and a view that is on the verge of surreal. A powerful place, no doubt. 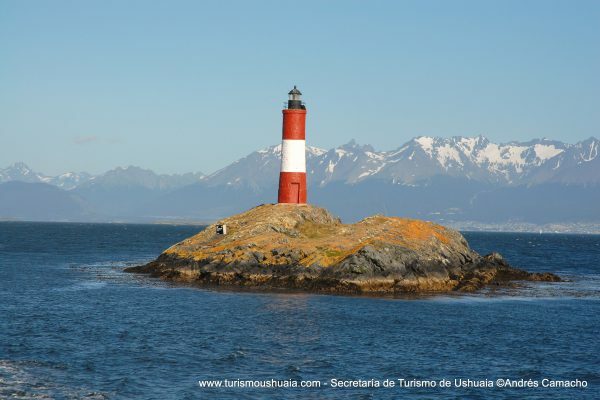 On the banks of the famous Beagle Channel and on the route between East and West, Ushuaia is an international city that exudes an unexpected liveliness for such a low latitude. 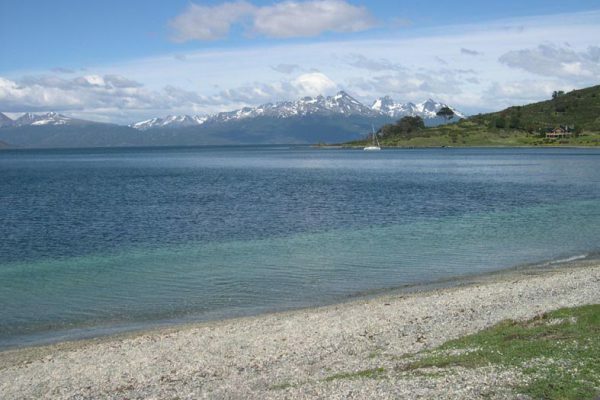 However, the city of 65,000 inhabitants bonds with a larger ecosystem that consists of the base of the Andes Mountains, with mountains, glaciers and leafy woods, and a sea with abundant fauna. Not only that, during winter the area offers fresh snow, favoring skiing and snowboarding, especially in the Cerro Castor and Cerro Martial ski resorts. 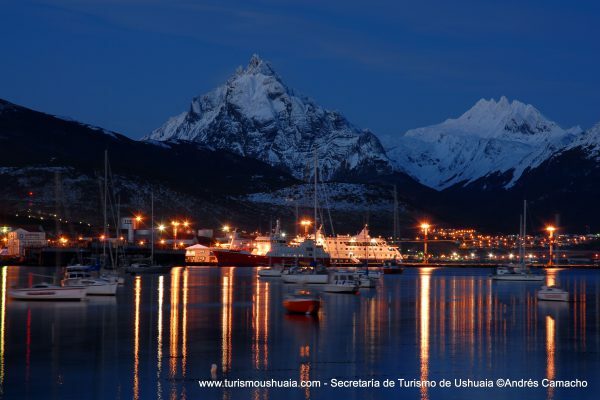 A stopover point for ships that sail through Chilean channels, Ushuaia has a port with capacity for large vessels, including boats leaving for the Antarctic continent during the summer, between November and March. 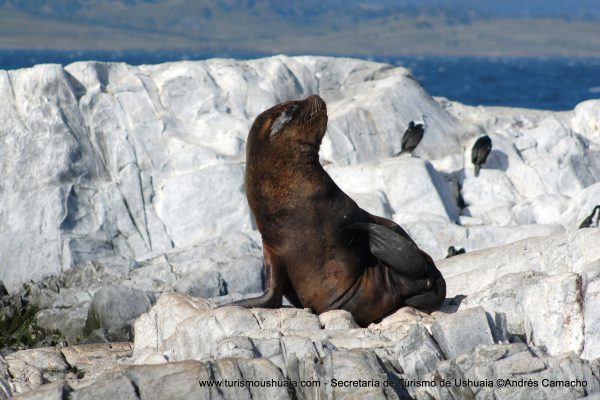 If your visit is not during the winter, other activities are recommended, such as sailing the Beagle Channel, visiting penguin and sea-lion colonies. It is also possible to spot dolphins and whales near the Lighthouse at the End of the World. 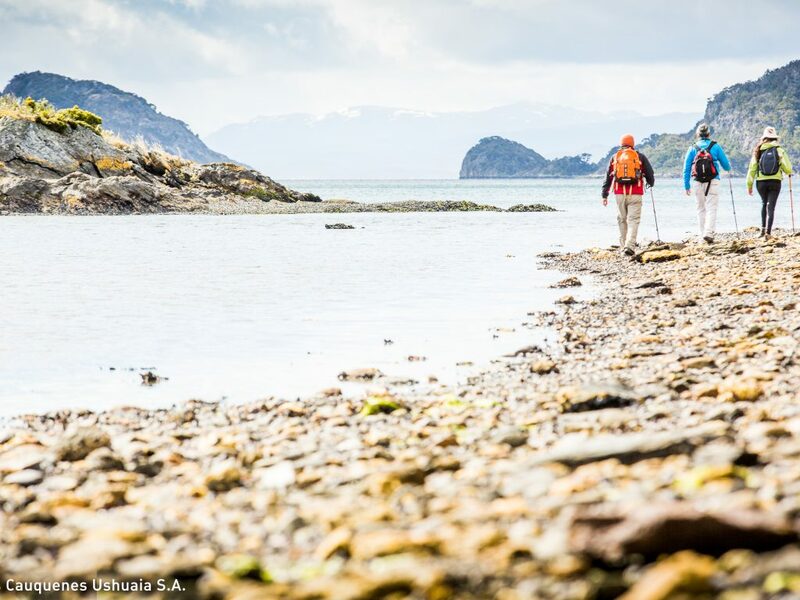 A background for breathtaking hiking trails, the Tierra del Fuego National Park keeps stretches of forest intact, as the Native peoples who lived in it hundreds of years ago kept it. 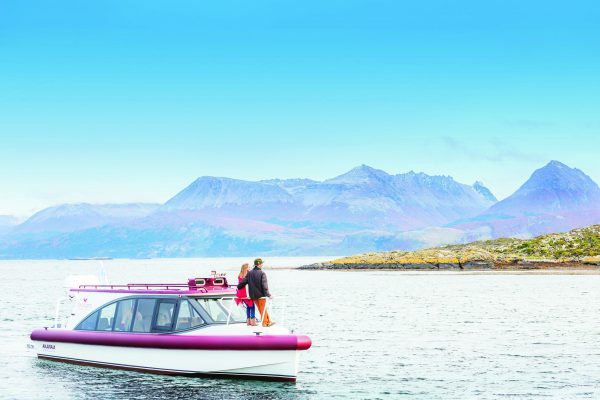 Emerald lagoons, snowy peaks and wildlife make up the natural dimension of an Ushuaia whose past once housed a prison, now transformed into a museum, but that still palpitates with sincere and authentic stories. Come and live your story! Ironically, the End of the World is the beginning of a universe full of possibilities. 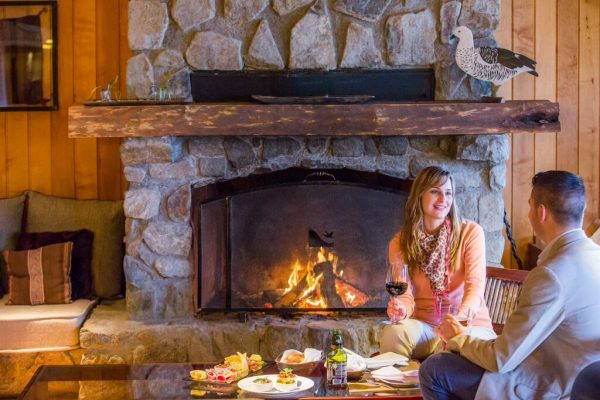 And offering outdoor activities to its guests is within Los Cauquenes’ DNA – that is the only way the full Patagonian experience can be achieved. Incidentally, outdoor activities epitomize the exploring spirit of the region’s pioneers; the area, under many prisms, still looks wild and untouched. 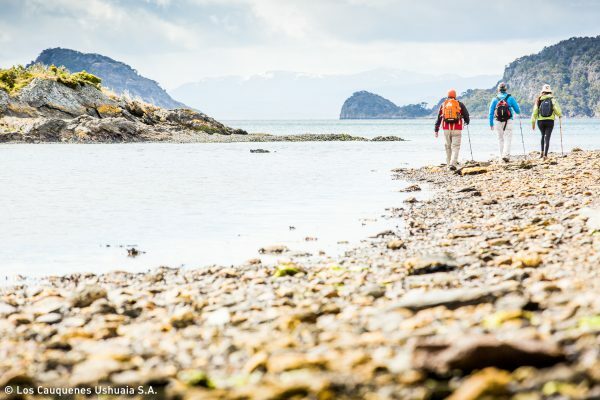 On the table, there are walks through the Tierra del Fuego National Park, still preserved, passing by stunning viewpoints as Lapataia and Puerto Almanza. As an alternative, you can commit to going up the Martial Glacier, a glacier that gradually reveals the most beautiful view over Ushuaia and the Beagle Channel. Water lovers can challenge themselves with a day of kayaking through the famous channel that connects two oceans. Families and children of all ages will surely be thrilled by life in its purest form on Pingüinera, a huge colony of various species of penguins. 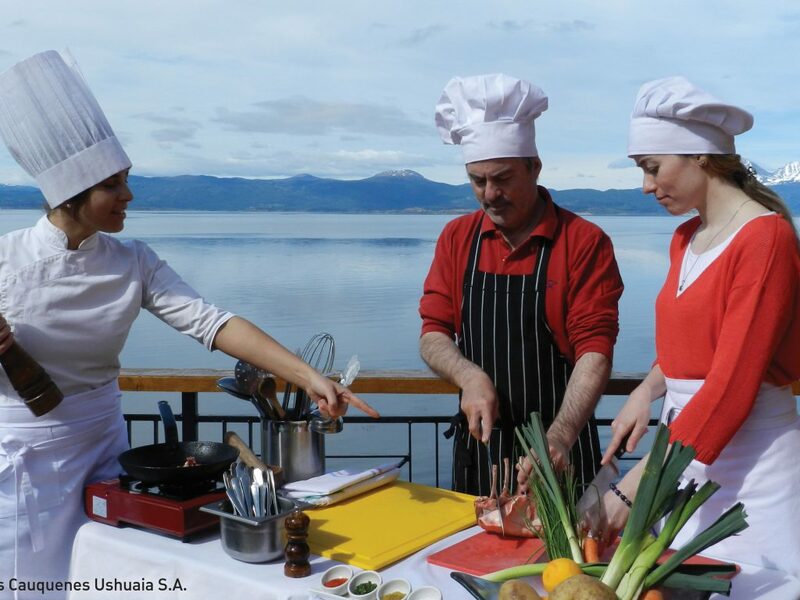 The list of light but rewarding activities includes regional cooking lessons and a special tour aboard the traditional End of the World Train, in first class, while being pampered and receiving the very best treatment possible. After all, you deserve it! 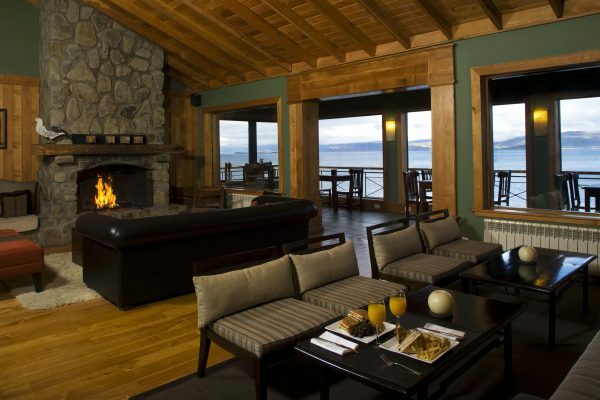 About 5 kilometers west of the Ushuaia airport, Los Cauquenes Resort + Spa + Experiences offers transfers to all guests. There are daily Latam Airlines and Aerolíneas Argentinas flights to Ushuaia from São Paulo, with a connection in Buenos Aires.